When first inviting a Contact to join your Portal, they are only associated to one Location, which is where your Customer is based/renting space. If you have customers who are based at more than one Location, then you may need your Member to be able to perform Portal tasks related to different Locations. There are a few steps to take to achieve this. Invite your Members first - Each member needs to be added as a Contact within Operate, where a Portal Access Level can also be set during the Contact creation process. Next, the Contact needs to be emailed a Portal invitation message, which is normally set up as an email template within your Account (Called either "Invite Members to Portal" or "Portal Registration" - titles may vary slightly.) You can automate this process by following the steps indicated in this article. Set up a Group Account - Your Customer will need to have one Operate Account created for each Location where they are based. Create these Accounts first, according to the type of Customer - as explained here. Next, set up a Group Account and include the two Account in the Group - as shown in this article. Each Account is associated to one Location and then included within the Group Account, which includes all Accounts you add and all corresponding Locations. The Group Account itself is not tied to a Location. Paying for Invoices - The My Account > Invoices Portal section allows Admin Members to view and pay for their invoicess corresponding to all Locations associated to the Group Account. For the moment, the Location is not directly listed on the Portal, but can be identified by the name of the Account or the Invoice Prefix. Alternatively, downloading the Invoice will display the Invoice itself, which does mention the exact Location it has been generated for. Here is how your Members can pay for their Invoices using the Portal. Viewing Account Statements - Under My Account > Statements there is a Search Filter that lets you retrieve an Account Statement within a period you choose. 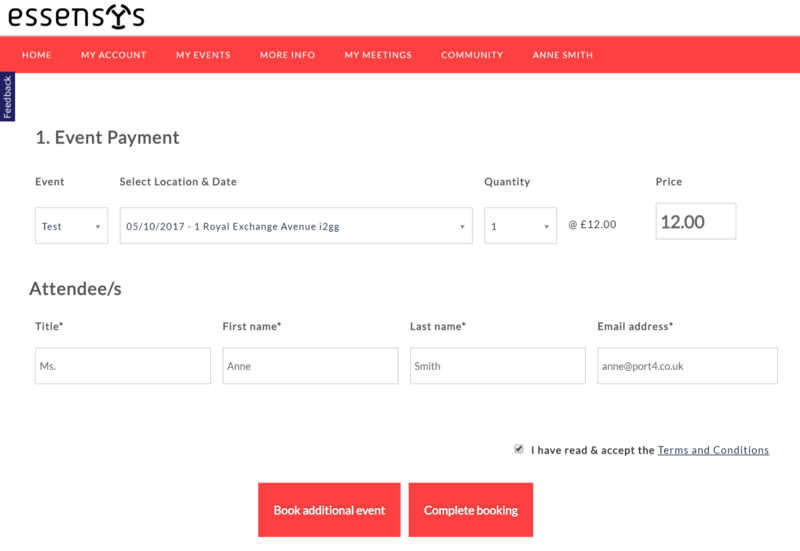 Make Bookings - All of your users are able to book Meeting Rooms or Desks at their own Location or any other. They do not need to be part of a Group Account to have access to bookings. Bookings are available in the menu bar, under My Meetings. 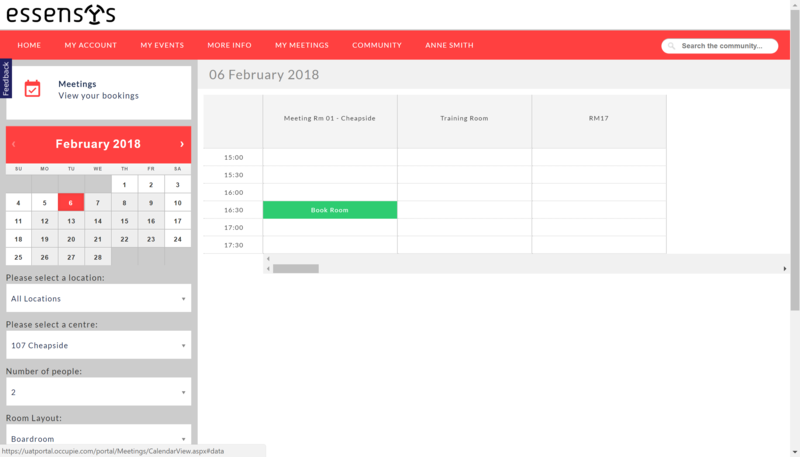 Register for Events - This feature is also available to all members, without them needing to be part of a Group Account. The My Events section lets Members register for upcoming events and view their existing registrations. Learn more here. 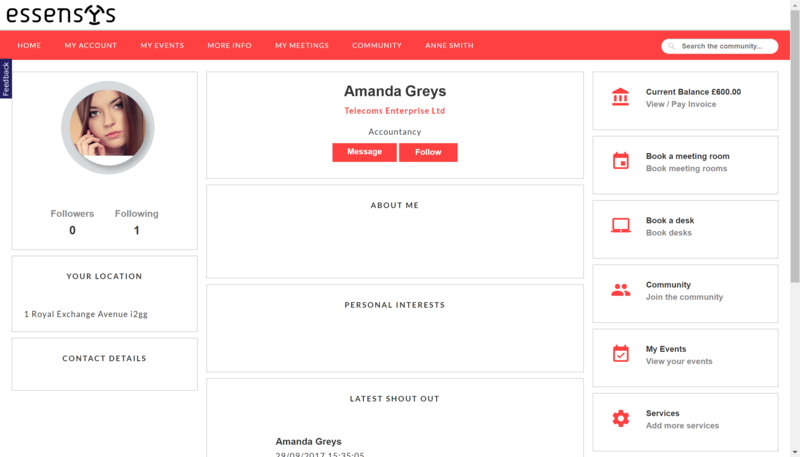 View, follow and contact Members from other Locations - The Community tab in the menu bar takes users to a list of Members from across all Locations where their company is based. Clicking on a Member shows their Location, Profile information, posted Shout Outs; as well as buttons to Message or Follow that Member. There is no obvious way for Members to identify their Location. However, this can be seen by hovering over their name in the Menu bar then going to My Profile. Here is where they can see their Location on the left side of the screen, right under their Profile Picture. They can change the Location by selecting a different one under 'Where are you working?'. There is no possibility to send Shout Outs to the Member's Location only - they will be visible to all Members across all Locations. When viewing Shout Outs, there is no obvious way to see the Member's Location - going to their Profile is the quickest way to see it.